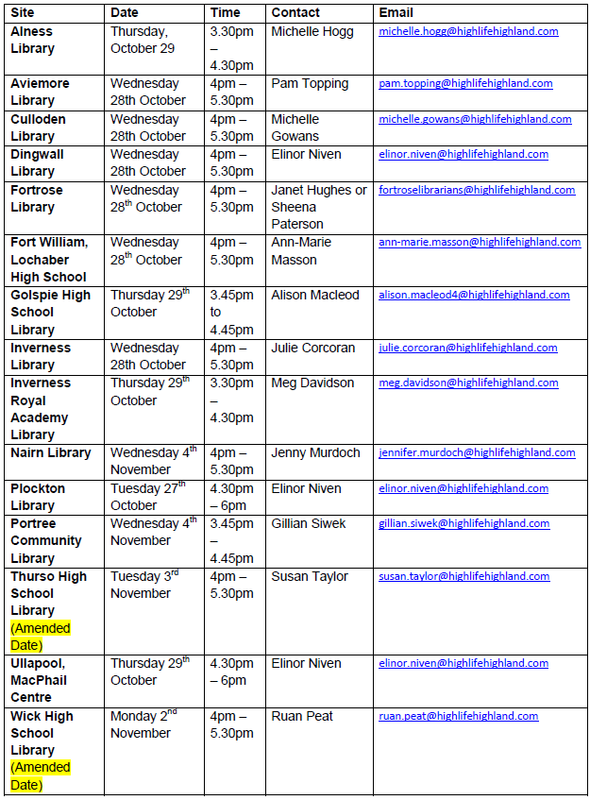 Following our earlier post on the upcoming training from Highland Libraries on using the P1 Book Bug Pack, there are now fifteen events across the Authority in October and November. CLICK HERE to find out more about the sessions. Please email the contacts below directly to book a place. This is a great opportunity for classroom practitioners and the library service to work together. If you’re attending the training, the staff at Highland Libraries ask that the P1 Book Bug packs do not go home with children until after the training. This entry was posted in Uncategorized on October 3, 2015 by Mr Cook.